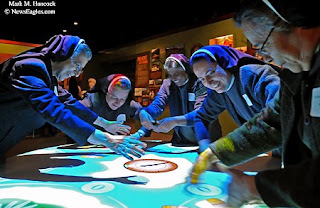 Sisters from St. Joseph's Residence in Oak Cliff try to corral parachuting scouts in an interactive video game at the National Scouting Museum in Irving on Saturday, March 7, 2009. The University of Dallas Serra Club sponsored the Nuns' Appreciation Program, which honored the nuns for their service. 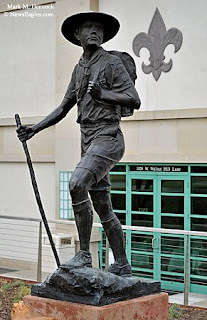 A scout statue welcomes visitors to a Nuns' Appreciation Program at the National Scouting Museum in Irving. 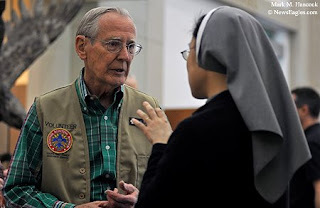 Museum docent Paul Ernst (left) talks with Sister Gwen Do (right) during a Nuns' Appreciation Program at the National Scouting Museum. 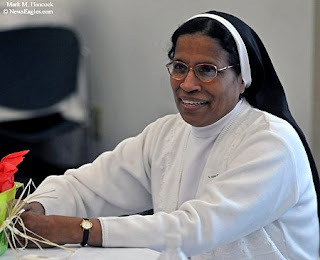 Sisters Stephanie B'ouza waits for dinner during a Nuns' Appreciation Program at the National Scouting Museum. More than 70 sisters from various orders attended the event. 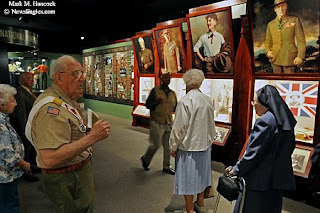 Museum docent John Calkins (left) explains the history of the Boy Scouts of America during a Nuns' Appreciation Program at the National Scouting Museum. The museum features a historical look at scouting. 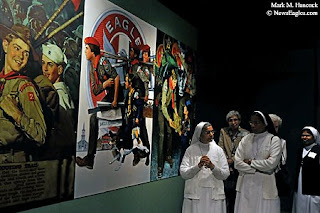 Sisters Karen Cardoso (left), Stephanie B'ouza (right) and others tour the National Scouting Museum during a Nuns' Appreciation Program at the museum. The museum features original works by famed artist Norman Rockwell. 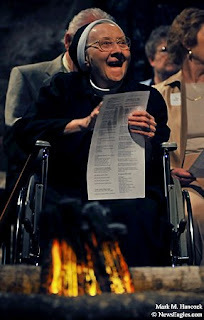 Sister Christiana Metz participates in a sing-a-long around the artificial campfire during a Nuns' Appreciation Program at the National Scouting Museum in Irving. Dallas Diocese Knights, Squires and their families were invited to attend the First Annual Dallas Diocesan Knights of Columbus Corporate Communion at the Cathedral Shrine in Dallas on Saturday, March, 7, 2009. 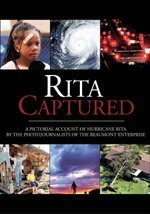 People named in this slideshow include: Bill Stewart, Malachi McGinnis, Charlie Gomez, William Hilliard, Ken Thompson, Abbie Anderson, David Crawford, Al Barbosa, Jerry May, Rudy Arciniega, John Donovan, Ruben Delgado, Pete Romero, Ron Gay, Pedro R. Davila, Jim Hale, Bishop Kevin J. Farrell and Jim Vaillancourt. 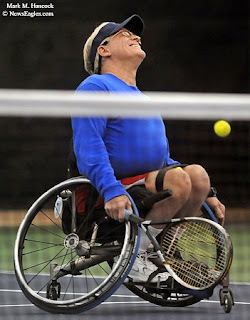 Wayne Leavitti of Carrollton celebrates his win as his opponent's ball goes out of bounds during the Wheelchair Exhibition game of the Challenger of Dallas professional tennis tournament at the T Bar M Racquet Club in Dallas on Saturday, Feb. 7, 2009. 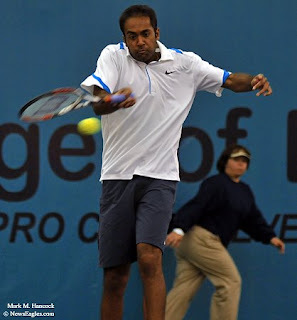 Prakash Amritraj lunges for a ball during the doubles final of the Challenger of Dallas professional tennis tournament. 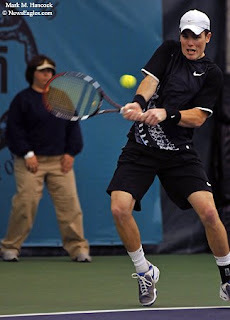 Patrick Briaud returns a ball during the doubles final of the Challenger of Dallas professional tennis tournament at the T-Bar-M Racquet Club in Dallas. No. 1 seeded doubles player Rajeev Ram of the United States returns a ball during the doubles final of the Challenger of Dallas tournament. No. 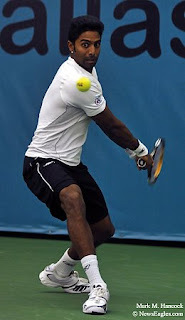 1 seeded doubles player Prakash Amritraj of the United States meets an incoming ball during the doubles final of the Challenger of Dallas professional tennis tournament. 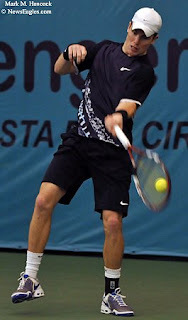 Patrick Briaud leaps for a ball during the doubles final of the Challenger of Dallas professional tennis tournament at the T-Bar-M Racquet Club in Dallas. 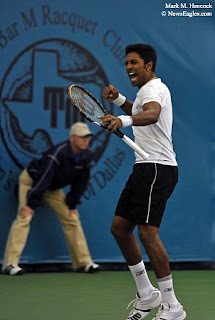 Prakash Amritraj celebrates victory after the doubles final of the Challenger of Dallas professional tennis tournament at the T-Bar-M Racquet Club in Dallas. 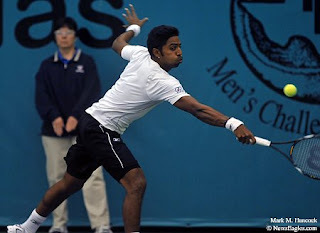 Amritraj and Rajeev Ram won the championship match 6-3, 4-6, 10-8.